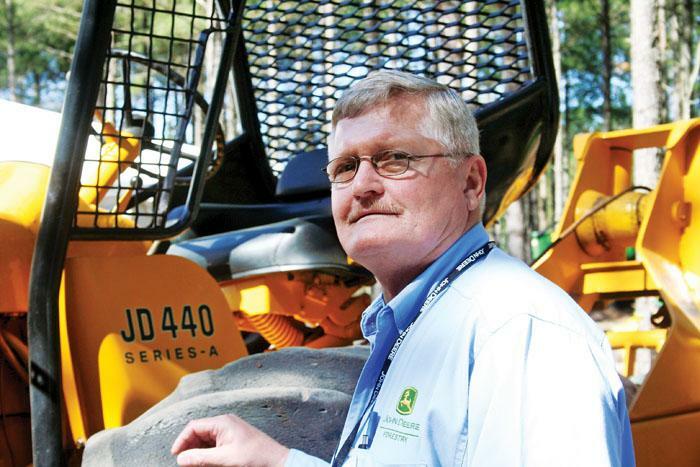 The November issue of Southern Loggin’ Times spotlights Alabama’s DeKalb Forest Products, which is owned by logger Rodney Driskill and procurement man Gred Yarbrough and has found a steady market making and selling chips to Lee Energy, a nearby pellet producer. 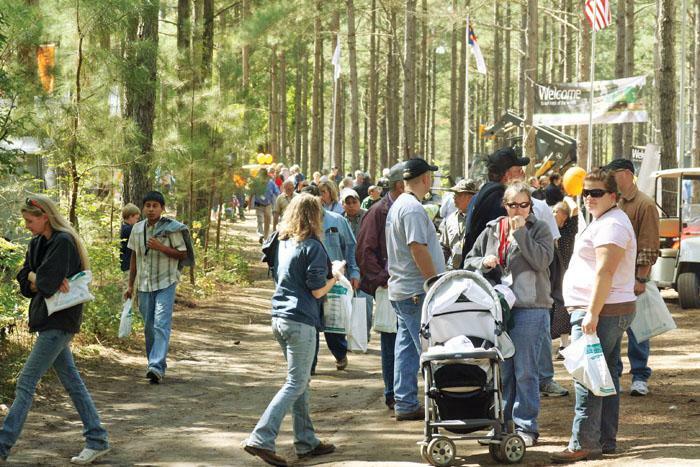 The issue highlights the American Loggers Council, which has officially launched a program to strengthen the organization and to stress clear communications, as well as North Carolina’s Bill Lynthacum, who leads a family endeavor. 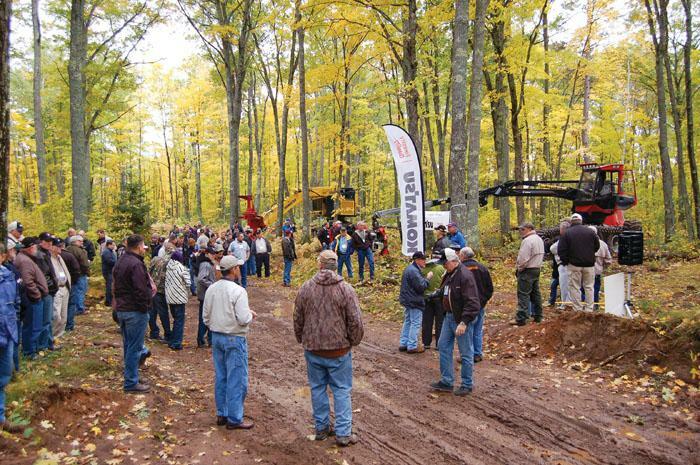 An article provides a recap of the Mid-Atlantic Logging & Biomass Expo. Continue reading the Longleaf Drama. 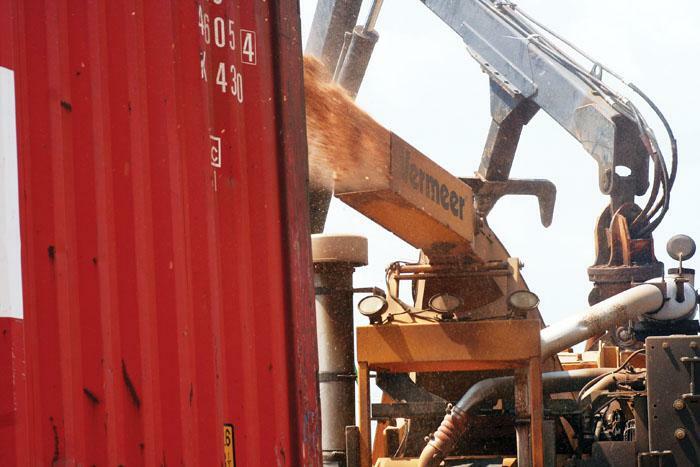 A logger can cut and skid as many truckloads as he can fit into a week, but if he doesn’t have anywhere to sell it, he’d be better off to stay home. In today’s tight wood markets, diversity is often the key to survival, and if you can find a niche for yourself, then you’d be well advised to hold onto it. That’s something of which partners Rodney Driskill and Greg Yarbrough are all too keenly aware. And having found a niche—and a reliable market—they’re nothing if not grateful. Ask most anybody associated with the forest industry in Montgomery County, North Carolina—including the fellow who owns the big sawmill—and they will tell you that Bill Lynthacum is the hardest working man they know. They’ll say the dude has got his motor running all the time. 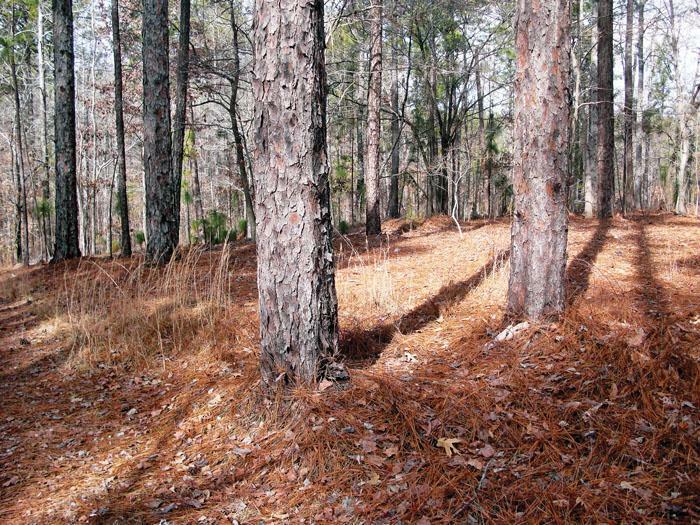 Publication of research findings was an important phase of our battle to “save the longleaf.” As studies were completed, our results were published in the Journal of Forestry and other scientific and popular outlets. Forest Farmer ran an article on early results from our shelterwood tests. In 1969 our annotated bibliography listed all significant publications on longleaf pine since Wahlenberg’s monograph in 1946. One of the best things about working in this particular job in this particular industry is how many great people we get to meet in our travels. 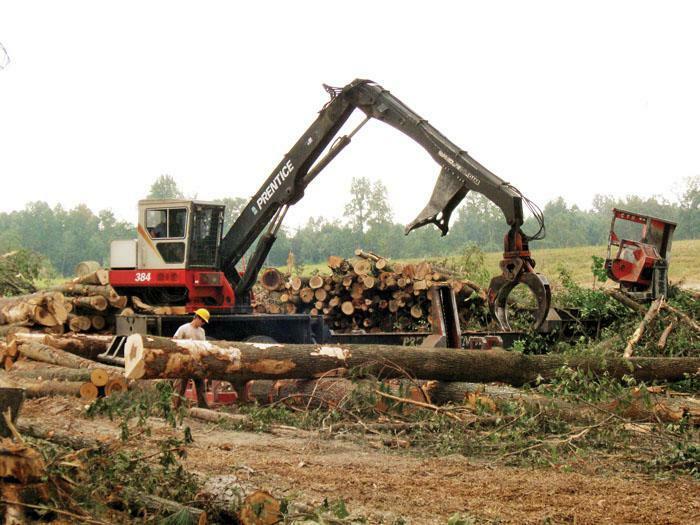 We talk to loggers and millers and equipment salespeople and others in related fields, the big operators and the small, all over the country and in some cases in other countries. Every one of them has their own story to tell, and it’s our job to try to tell it. One of the best ways to meet these people is at the expos and trade shows we attend every year. Over the years most every forestry equipment manufacturer had a contest at one time or another. 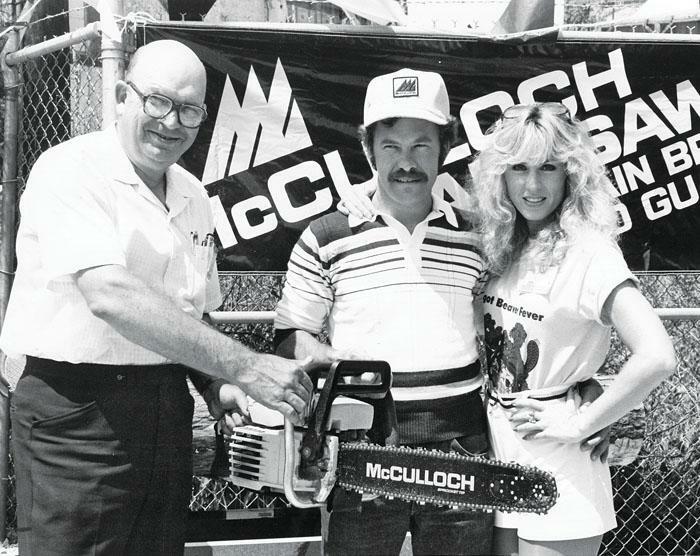 In 1981 at the SFPA show in Atlanta, James Thompson, center, won a McCulloch Pro Mac 800 chain saw for finishing first in McCulloch’s cutting contest with a time of 3.84 seconds. Greer Sims, left, represented McCulloch. In retrospect, the real winner was probably the blond, Linda Thomas, McCulloch’s hostess, who never even picked up a saw. 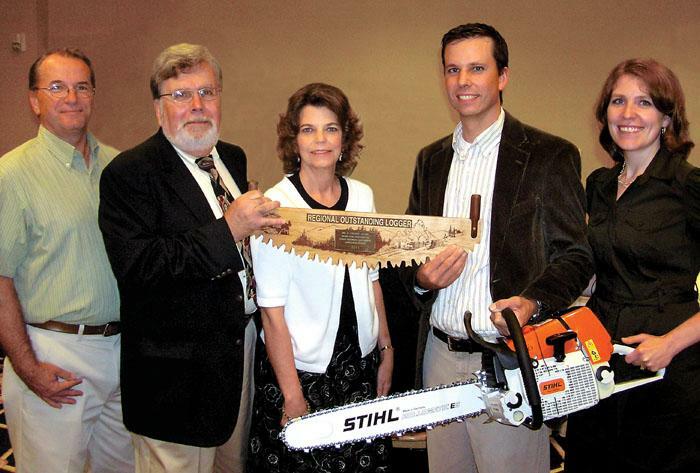 Owned and operated by the faith-grounded Stout family, Arches Fork Evergreen Co., Bridgeport, W. Va., in September was honored as the 2011 Appalachian Region Outstanding Logger by the Forest Resources Assn. and Stihl, Inc. Smiling over the recognition are, from left, Charlie, Marilyn, Jim and Heather Stout. Founded in 2003, Arches Fork runs two crews and a diverse spread of machines, including cut-to-length equipment. 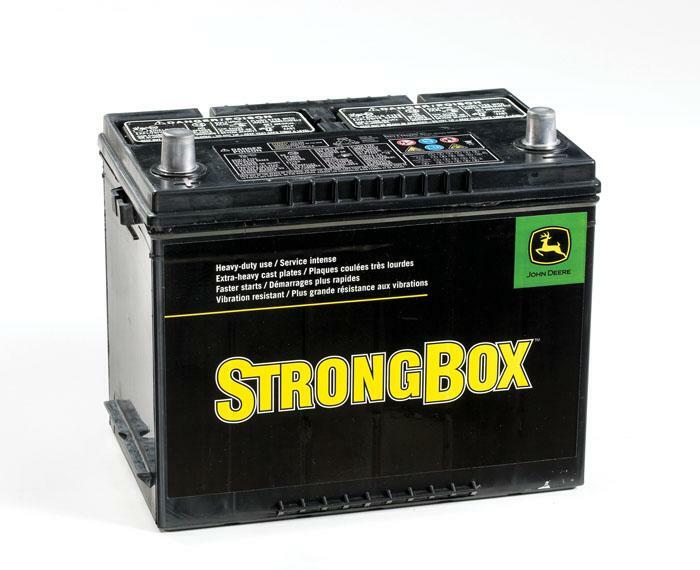 It also owns a machine shop and is a dealer for Log Max harvesting heads.